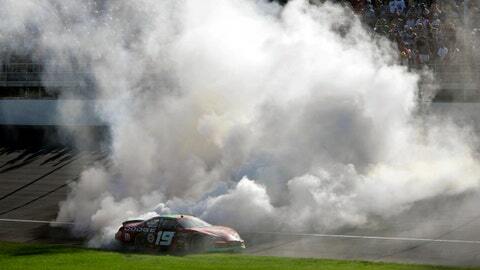 On Saturday, the smoke will be coming from Jeremy Mayfield's former 12,000-square-foot mansion. Jeremy Mayfield’s former 12,000-square-foot mansion is going up in flames. WSOC-TV in Charlotte, N.C. is reporting that the abandoned and gutted house will be burned to the ground… a move that will take it off the tax books and provide training for the Catawba Fire Department. Originally scheduled for Saturday, bad weather has postponed the controlled burn until a later date. The troubled former driver – who once paid almost $4 million for the land and surrounding property – was evicted last year and the current owners just want it off their hands. Mayfield – suspended from NASCAR in 2009 after testing positive for methamphetamine – told WSOC that he has no plans to show up and watch the controlled burn. For pics of the inside, click here.